Frail aged people, younger people with a disability and their carers will benefit from a joint Australian and NSW Government allocation of $3.96 million in funding for Home and Community Care (HACC) services in New South Wales. The Australian Government Minister for Ageing, Christopher Pyne, and the NSW Minister for Ageing and Minister for Disability Services, Kristina Keneally, jointly announced that their governments would immediately release more than $443,000 in recurrent and $3.52 million in non-recurrent funding for 75 HACC projects across NSW. “The HACC program plays an important role in the Australian Government’s aged-care policy framework,” Mr Pyne said. 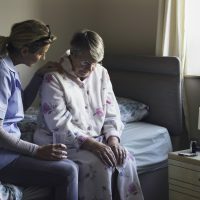 “Home and Community Care is a central element of the Australian Government’s vision for a world-class aged care system that delivers high-quality, affordable and accessible care to meet the individual needs of older people, younger people who have a disability and their carers,” he said.